The final flight. These are the 20 best whiskies in the world, according to the panel of 'experts' (the quotes are for me) that has been sniffing, gargling, swallowing and occasionally spitting over the past couple of months. I can't remember how many I've dealt with. Maybe 60. Scored out of 10 and described ('overtones of diesel and two-stroke, fish barrels, herring and Macaroon bars mixed with Marmite') until finally, we're here. 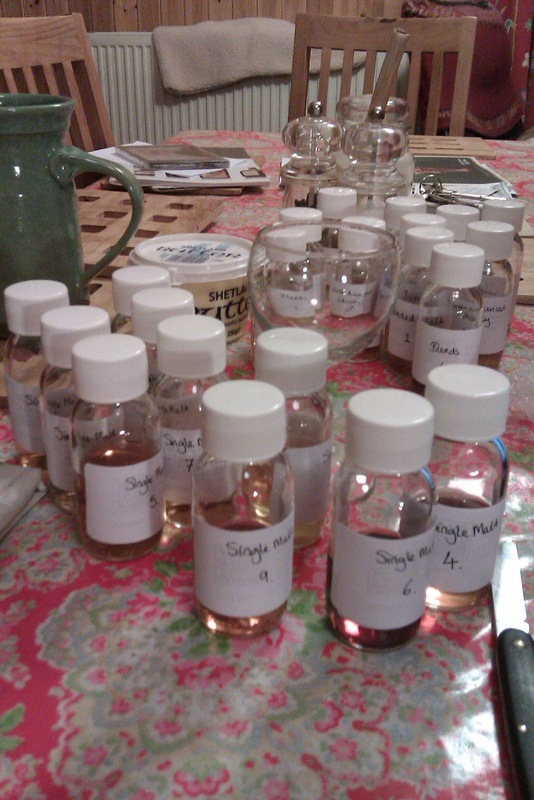 Twenty whiskies (and whiskeys). North American, Irish (controversially slung in with single malts from Scotland and Japan), One grain, a few blends and blended malts. Oh, and a single liqueur, either Glayva or Drambuie. I neither know nor care. Both are beyond horrid in my opinion. No names. Just genres and numbers. But the best whisky in the world, in my humble opinion, is Single Malt 6. Treacle, tar, lemon zest and that infamous port-Guinness cocktail, plus some dark rum. Chewy. 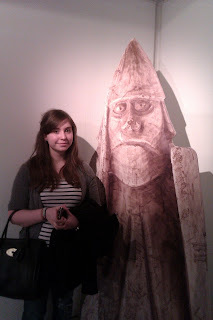 Oh, and the Lewis Chessmen exhibition was on at the museum, so we had a look at that. Very good. I've been to the site on Lewis where the chessmen were found. Appropriately, it's very near the excellent Abhainn Dearg (Red Rocks) whisky distillery. Home then, and no wasting the weather. For Marf it may have been OK to wear a wetsuit, but I was taking no chances in my Fladen flotation suit and wooly bunnet. Kayaks were fine though one had lost its bung, which had to be replaced with a winestopper from a Christmas cracker. Seriously. This is actually a posting on the Shetlink discussion forum, from a thread inspired by rumours that my favourite record shop, Clive's in Lerwick, might be closing. As I write, Clive Munro hasn't shut yet, but it has to be a matter of time. My shopping there would only be on a social basis, these days.I haven't bought a CD since signing up for Spotify Premium. I've spent shed loads of cash in Clive's, going right back to the days when he sold second hand stuff from that tiny wee shop opposite the Lodberrie. And Davie's right, his prices were at one point really competitive. Coupled with the tasteful selections of obscurities and the sheer breadth of music on offer, Clive's was one THE great UK record shops. But the sad fact is that Clive's is now one of the last independent record shops. They've disappeared. If you're committed to music, if you're a serious fan, and especially if you live remotely, you now have Spotify Premium, you have iTunes, you have Bleep, Bandcamp and - for the brief interim period when we're actually still buying hard copies of digital information - Amazon and Indigo and Play.com. And that takes in DVDs and games, too. For the majority of consumers, music is a whisker away from being a completely online, mobile, almost free phenomenon. Once the fibreoptics are up and running here we won't need Blu-Ray or DVDs. Everything will be coming down that digital pipe. Or to our phones/tablets. And, Davie, I think you'd admit that musicians who depend on CDs are drinking in the last chance saloon, most now accepting that their money in the future will come from live shows and associated merchandise sales. But. Fans will always want a souvenir. Committed fans will always want the best. They will want cover art and lyric sheets and other goodies. And so there will forever be a market for high-quality, luxurious sonic souvenirs of the band you love. For that, there's nothing better than vinyl. One of my sons is thinking of buying the £33 luxury vinyl package of the new Radiohead album. Even though he doesn't have a record player. On the other hand, technophobes, late adopters and the elderly are going to want a sound format they can understand. Which is why Tesco is full of all those Sinatra compilations, and £1.99 Kinks/Stranglers/Sinatra/Buzzcocks/Val Doonican Greatest Hits. I've had this conversation with Clive. I told him I thought there were fantastic online niches available for someone selling rare vinyl, souvenir, limited edition box sets, curated, recommended downloads, and merchandise of every sort. But that, sadly, the days of the record shops we loved and once lived for are over. Google 'Lefsetz Letter' for the cutting edge music industry thinking on this. 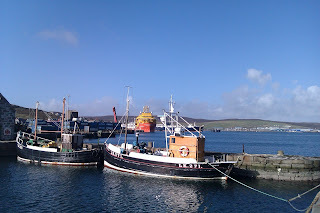 I owe Johnson Transport 60p, or 20p, depending on how you view the Lerwick-Hillswick route. It's 60p from Hillswick to Brae. But it's £2.80 from Hillswick Lerwick, (35 miles)and £2.60 from Brae to Lerwick (25). I'm confused. But that's not infrequent. It's all a misunderstanding. I thought Leask's Buses, who only accept blue digital Shetland Islands council discount pre-pay cards (they're not ALL blue, but they have a blue stripe) would not deal with money owed to Johnson Transport, who operate the feeder route to Hillswick from Brae. When I get the morning buses into town, they won't. You use a green card to get the 07.35 to Brae, which connects with the 08.10 to Lerwick (blue, so I found to my dismay the first time I used it). But I am now fully equipped with charged-up blue and green cards. I am a novice bus traveller, having foresworn the car (well, three days a week at least) just last week, on cost grounds and because I was having to stop for a snooze half way, my eyelids drooping towards disaster every time I tried to drive home. I knew there was a 10.00am bus to Lerwick, direct (Johnson), and a 17.10 bus back (Johnson). Green cards agogo. But I needed the 07.35 (green/blue) for my consultancy work. And then I discovered the 15.40 to Mossbank...and that's Leask's. Blue card. I can get off that at Brae, and at first I thought I'd leave the car there, missing out the 07.35 (green) route in the mornings. But then I found out there was (just Tuesday and Thursday) a connecting mini-bus to Hillswick. Today was my first attempt at using that. But I thought, seeing as that's a Johnson Transport service, that I wouldn't be able to pay for the entire Lerwick-Hillswick trip on a blue (Leask's) card. Wrong. you have to pay your £2.80 on the blue, as the other two minibuses (you have to change at Brae and the Ollaberry Junction) don't have digital card readers. How Leasks and Johnson Transport work out the cash share is beyond me. It's digital. Presumably computers are involved. 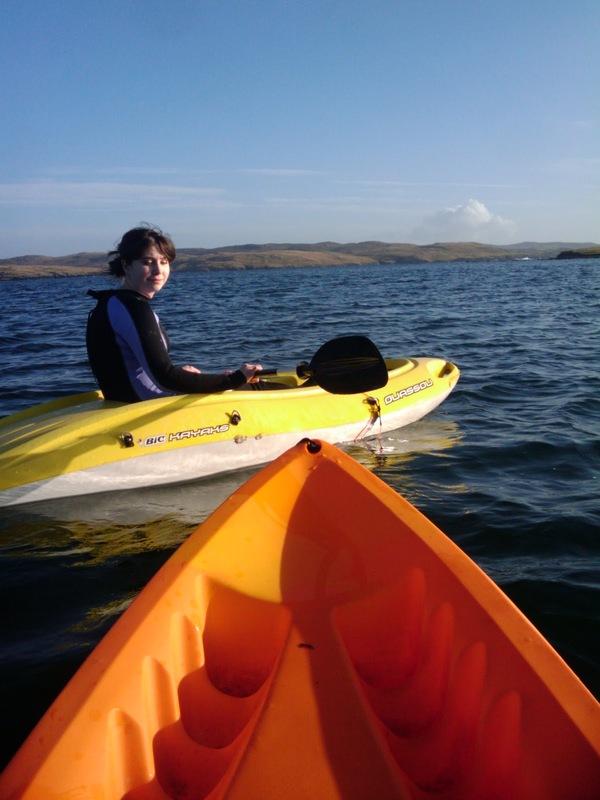 Thanks to Martin for explaining this to me, and for taking me the last leg home to Hillswick. He also let me into the secret of the, ahem 'doity' (elderly person's) bus which - every SECOND Tuesday - leaves Lerwick at 15.00, running direct to Hillswick. And even more secret, the Thursday late nighter, the 21.45 to Mossbank from Lerwick, which has a (Johnson) feeder service leaving Brae for Hillswick at 10.30pm. I wish I'd known about that bus in my newspaper press-day drinking days, as it would have saved me several £40 taxi fares. And that, folks, is everything I know about buses in Shetland. This information has been hard won. I share it with you as a public service, because not all of it can be gleaned from the Zettrans site. Oh, and one last point. You may think these fares seem outrageously cheap. They are. But here's a thing, if you have a digital SIC card (free to obtain, from any driver) you get 60p knocked off the price of Hillswick-Lerwick. £2.20. A LOT cheaper than driving. Today the council voted to hike bus fares by 15 per cent. It's STILL a lot cheaper than driving. And I can sleep the bus-sleep of the just. Once I assuage my guilt by giving Gary Johnson his 60p...or is it 20? 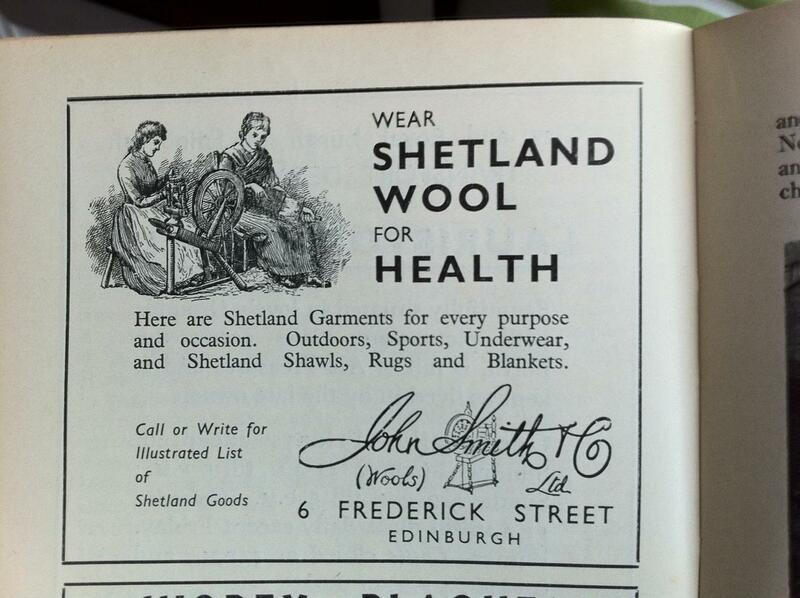 Shetland wool is good for you! 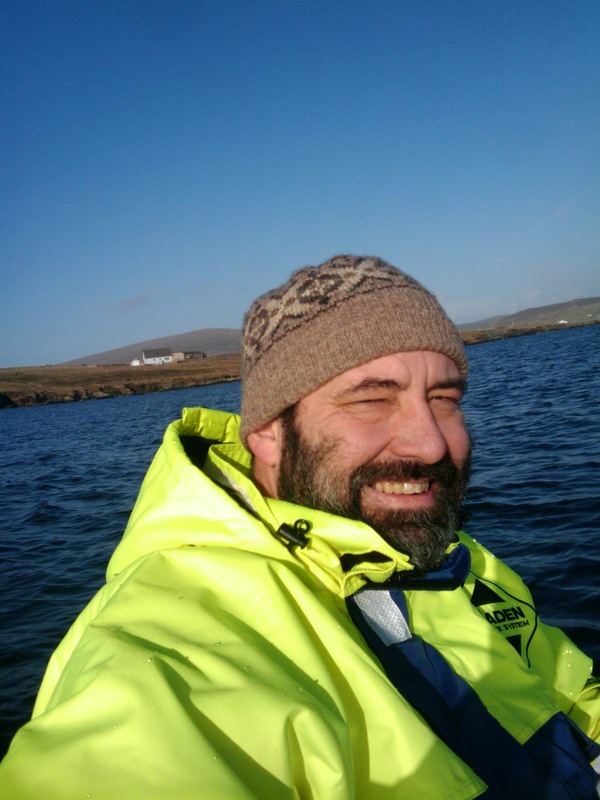 One of my thoughts as part-time communications advisor to Shetland Islands council is that all councillors and officials should, when travelling to the wilds of the Scottish mainland or beyond, have to wear at least one item of Shetland knitwear, preferably in a Fair Isle pattern as it's easily identified. And this provides just one of the reasons. 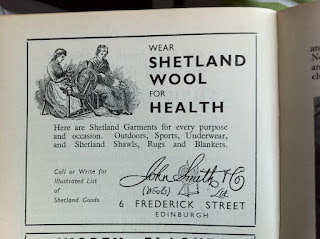 Though I'd probably draw the line at Shetland wool underwear. Having said that Sir Edmund Hilary and Tenzing Norguy were wearing Shetland wool base layers when they conquered Everest - especially fine wool in an extraordinary tight weave, so I'm told, provided by Adies of Voe.